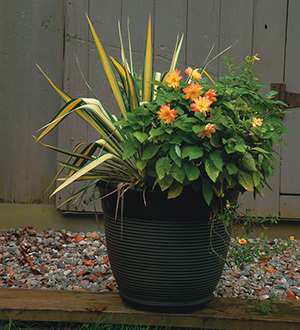 Container Rehab - Get more drama out of late-season pots with easy swaps and edits. Get more drama out of late-season pots with easy swaps and edits. 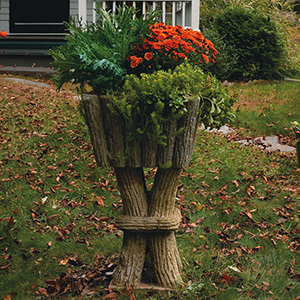 As fall sets in, most garden containers look more decrepit than decorative: There’s browning, bolting, or just too much competition for space. Our pots need some rehabilitation to look good for autumn, which can be an easy, quick, and affordable task if done correctly. The key is to work with the best of what’s left from spring and summer and to add just a few plants that will make an impact. To edit and polish this trio of containers, we used just 10 new plants in three smart ways. 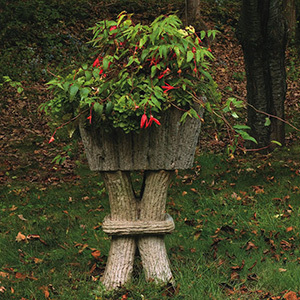 This pot suffered because two haggard impatiens were tired of blooming. Were that first fall frost to strike, they’d be zapped. 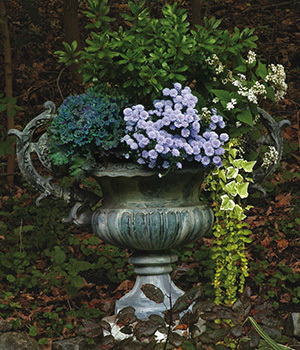 The azalea and golden creeping Jenny were tidy and the perfect backdrop and spiller for whatever joined the pot. The aster, ornamental kale, white snakeroot, and English ivy provide many times more color and texture than the impatiens did. Even better is their cold tolerance: Despite plummeting temperatures, these plants will look lush throughout the season. The calibrachoa was spent and shriveled up, with no hope of ever looking good again. The dahlia found a home elsewhere. This pot’s redesign was about making the one remaining plant look a little bit snazzier. 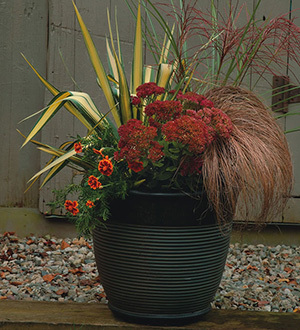 The sedum and marigold are rich sources of color in fall, and they play nicely off the brighter yucca as well as the copper tones of the grasses. This begonia was simply too large for the pot. In a container, there is no room for space hogs. With the begonia gone, we uncovered these bright sedums, which are perfect complements to autumnal oranges and browns. The fiery mum provides a nice contrast to the sedums and the kale. 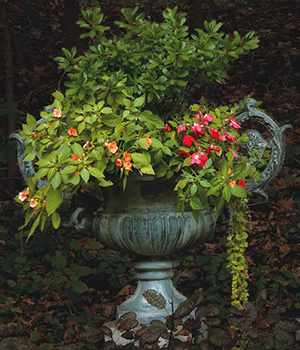 By using rediscovered plants as a starting point, the redesign of this container was easy. Think of these plants as a container’s summer-hangover cure. 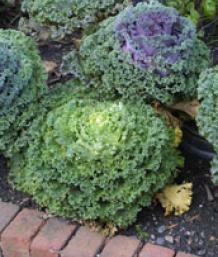 What’s fall without a few ornamental kales, like these ‘Nagoya Mix’ selections? Lifting these beautiful frilly rosettes in a potted arrangement makes it easier to enjoy their textures and color gradations. 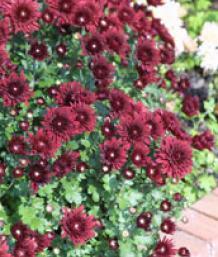 Mums are the hallmark of fall. The broad range of hues they offer, like that of ‘Minnruby’, fills our beds, borders, and containers with deep color, which is hard to come by at the end of the season. 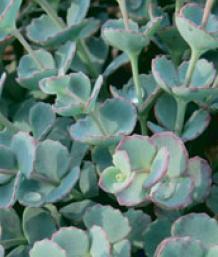 This diverse family of succulents includes many varieties that peak in fall: red-flowered ‘Autumn Joy’, pink-flowered ‘Autumn Charm’, and the handsome blue-foliaged S. sieboldii. 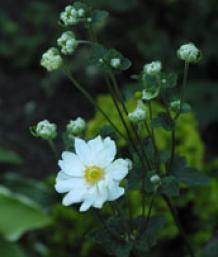 The height of ‘Whirlwind’ Japanese anemone makes it a perfect container-bound star. White semi-double flowers are made up of a multitude of narrow, somewhat twisted, sepals with flushed green edges. The flowers open in August and continue into October.